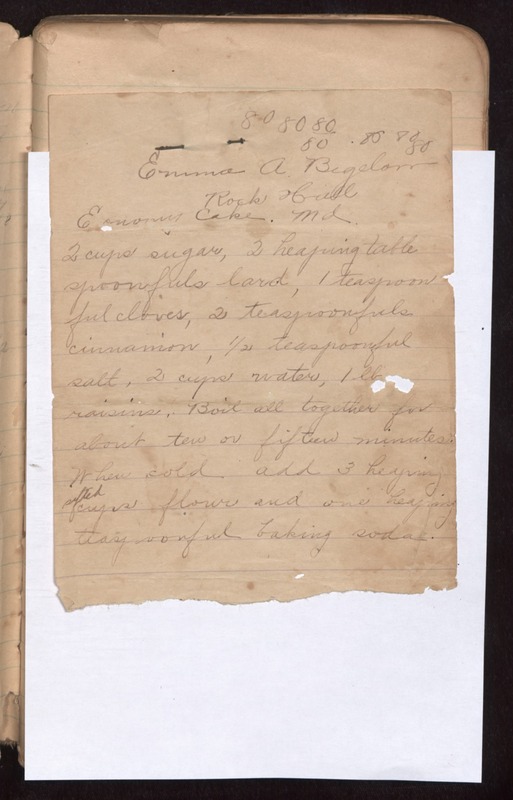 Emma A. Bigelarr Rock Hall Md Economy Cake 2 cups sugar, 2 heaping tablespoonfuls lard, 1 teaspoon ful cloves, 2 teaspoonfuls cinnamon, 1/2 teaspoonful salt, 2 cups water, l lb raisins. Boil all together for about ten or fifteen minutes. When cold add 3 heaping sifted cups flour and one heaping teaspoonful baking soda.